The fatality of many can be obscured by the death of one. A single skull and monumental crucifix from afar, but made from the bleached bones of numerous departed souls when viewed up close. 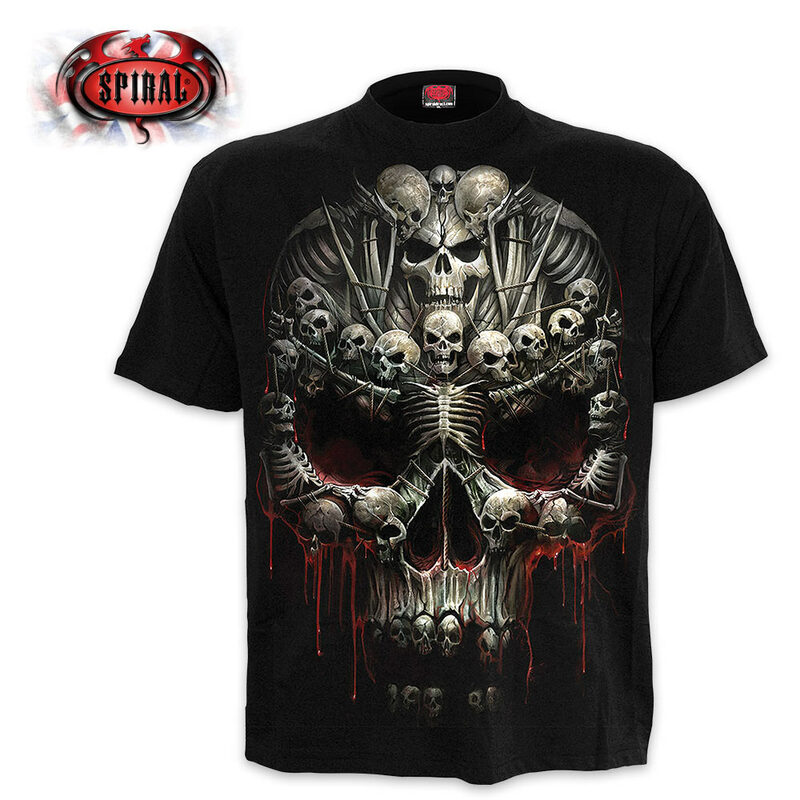 The front and back of this t-shirt features a vivid death inspired design that is rich with detail. 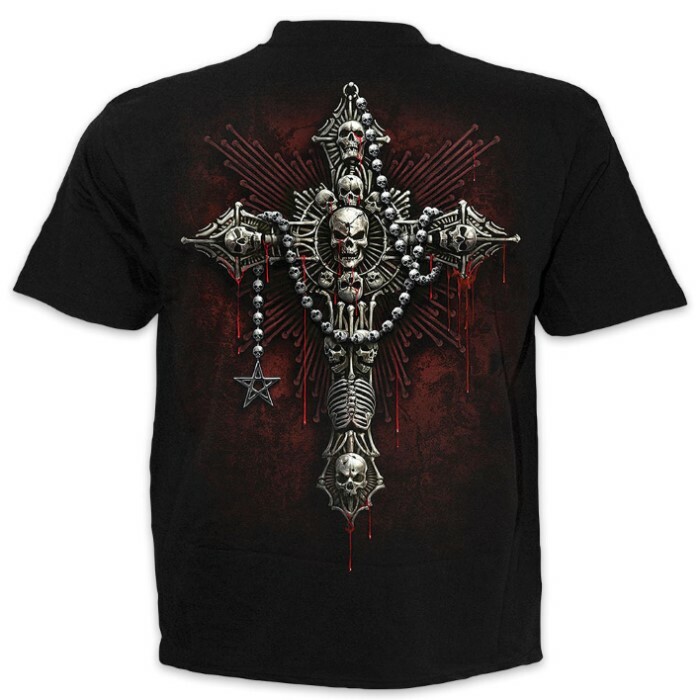 The original artwork is printed on high quality jersey material using skin-friendly, Azo-free reactive dyes. Add this haunting long-sleeve to your closet and you’ll find yourself wearing it all the time!